Intros New Corvetteforum member introductions & welcomes. I've recently (last weekend 4-12) purchased my first Corvette, a C7 3LT Grand Sport w/Heritage Package (image below). Although it's a 2017, it was still a new car on the dealer lot. I drove away with only 200 miles on the clock and an unbelievable deal I couldn't pass up. I've always been a fan of the Corvette line and admired them as a kid, hoping one day I could own one. I guess after all these years I've grown fond of the odd number generations, C3, C5, and now C7. I can now say I am a proud member of the Corvette family. I look forward to many cruises and syncing up with the local Corvette club. I am totally in love with this car already and couldn't be happier. See you all in the forums, and have a great day! Location: Missouri. Currently own 2014 Stingray Coupe. Excellent choice - love that color combo. Congrats on your GS and welcome to the forum. Congrats. on your great looking C7 Grand Sport coupe! Congrats and welcome to the forum! Very sharp GS! Congratulations and welcome to the forum! 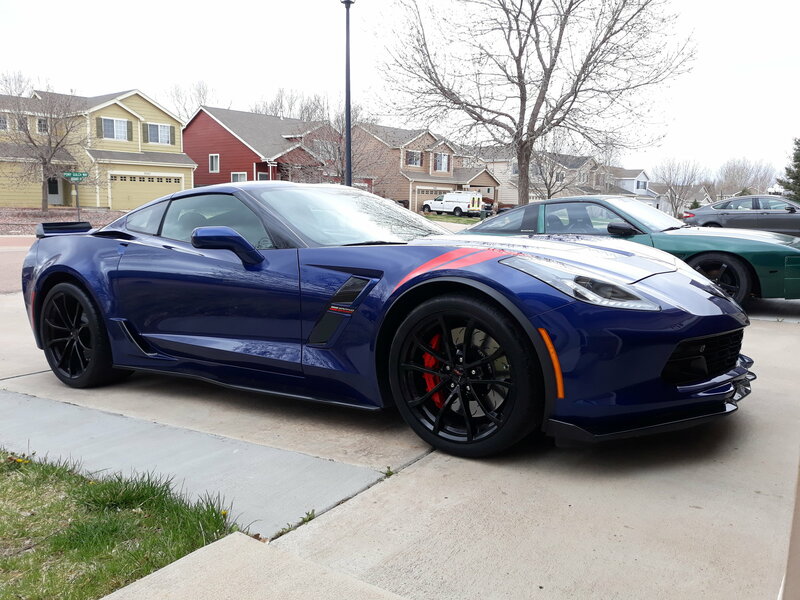 Send a private message to Jeff T.
Find More Posts by Jeff T.
Beautiful Grand Sport! Welcome to the forum. Congrats and welcome to the family! All times are GMT -4. The time now is 08:44 AM.